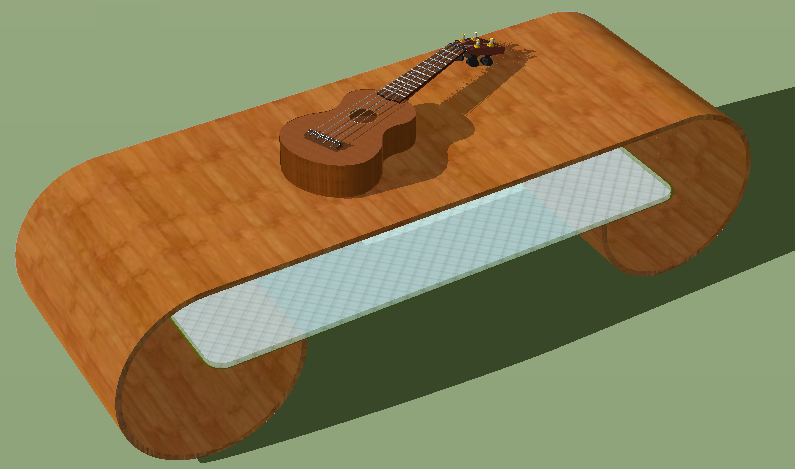 Bonnie's Blog: 3D design for K-12 and beyond: Ukelele! I work with really fine and interested students at the high school level at a small (28 student) high school in Camden, Maine. We spent an entire semester (5 hours per week) working on this project after about a month of going through your book. I brought the uke to class, so students had to share it to do all the measurements. The idea was to stick with one hard project for the entire semester, collaborate on solutions, and generally stay very focused during class. Stuart had done some work with SketchUp before, so he got the furthest along. Out of a class of 9 all but two made complete models, some without strings. In general it was a great class. Here's a close-up - the shape and form look perfect to me. In this view, all edges are hidden. This is my favorite aspect of this model - look at the pegs and how the strings wind on them. The frets are nicely spaced, and are clearly sticking up from the neckboard. 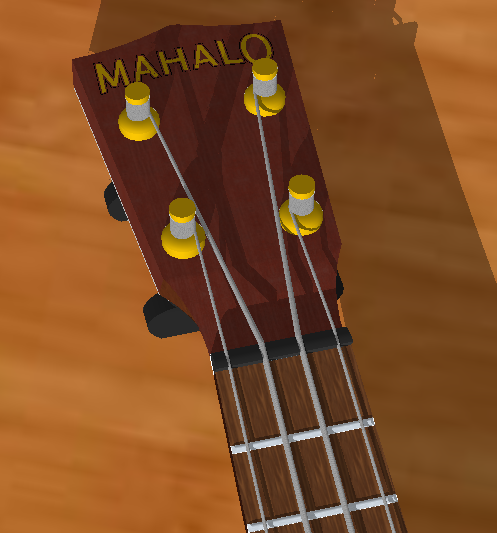 With edges and hidden edges turned on, you can see the interesting detail in the strings and pegs. 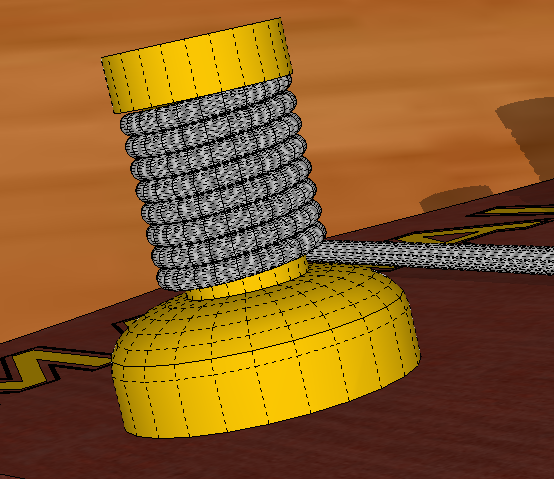 The strings are cylinders wrapped in a spiral pattern - not the easiest thing to do in SketchUp.